Is your Application intended to run faster, any memory issues, redundant referring to database? Need a profiler for your web application? 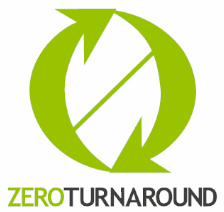 The producer of famous JRebel tool - ZeroTurnaround has released new 2.0 Beta version of live profiler for Java EE apps which is a remedy for the majority of significant bugs. Profiler is able to analyse session object and alert user when it rapidly increases with comprehensive UI in web browser. With XRebel you can finesse your app by instantly receiving information about thrown Exceptions or database queries with their duration.